Hello, hello, hello! It's the official start of Christmas Bonanza! Hope you enjoy! Like I said in my last post, we're going to start with Nutcracker. See the full cast in my last post. Oh yeah! And just to get you excited (or make you panic) it's 26 days until Christmas!!!!!! AHHHH!!!!! 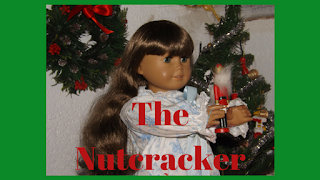 Ok, without further ado, here's my very first photo story, The Nutcracker. 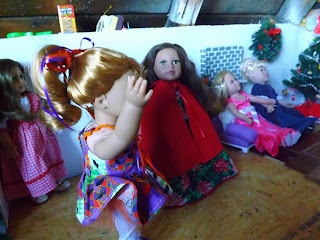 It was Christmas Eve in the Staulbam household and everyone was busy preparing for the annual Christmas Eve Party. The maid was cleaning and organizing. And Clara, the oldest of the Staulbalm children, was carefully decorating the Christmas tree. Clara loved Christmas, it was one of the most magical times of year. 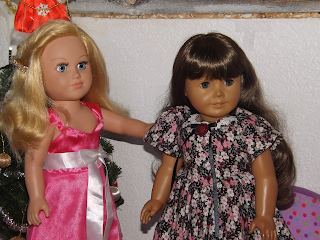 "There," Clara said as she placed a reindeer on the tree. She took a step back and looked at the tree. "Emma, does the tree look ok?" Clara asked the maid. Emma walked up and studied the decorated tree. "Why, it looks lovely Clara! Well Done!" Emma exclaimed. Clara smiled warmly, Emma was always more of a friend than a maid to her. "Thank you, I hope everyone likes it, we worked so very hard on everything," Clara said. "I know they will," Emma replied sweetly. "The house looks beautiful!" Mrs. Staulbalm exclaimed as she entered the room. 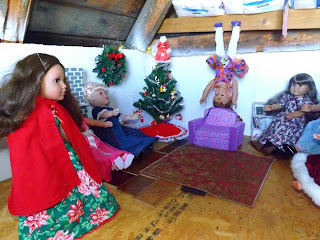 "Thank you mother, me and Emma worked on it all day,"
"I still don't understand why I couldn't decorate," Erica groaned. 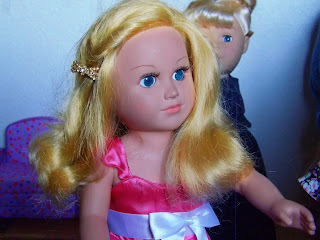 Erica was Clara's little sister, and was nothing but a troublemaker. 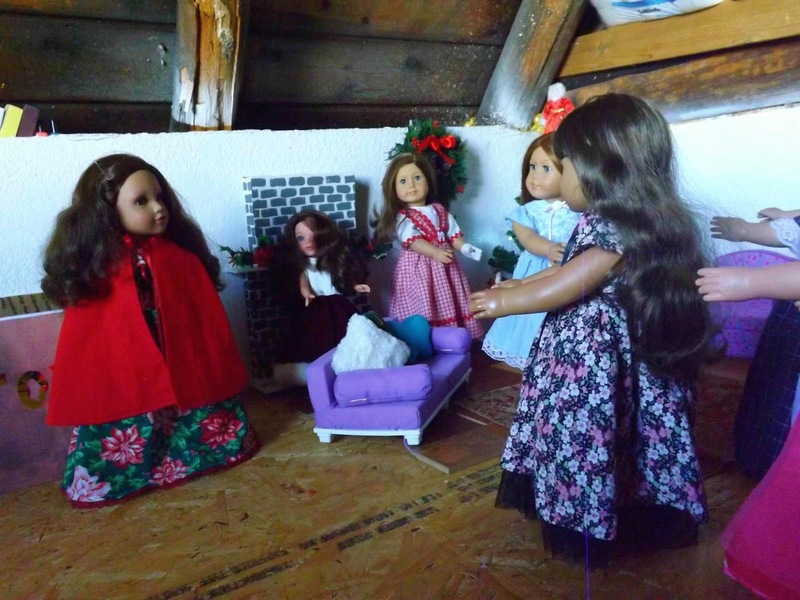 "Because last time you threw Clara's favorite ornament in the fireplace," Mrs. Staulbalm said to Erica. 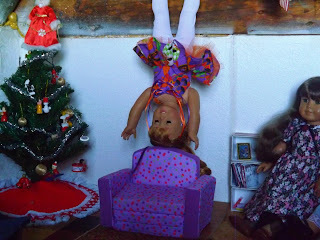 Clara thought of the ballerina ornament her father had given to her. 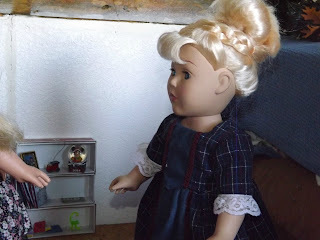 Clara's father travelled a lot and she didn't see him very much. When she was little her father gave her the ornament as a Christmas gift, then last year her sister got mad because it was Clara's turn to put the angel on top of the tree, so her sister took the ornament off the tree and threw it in the fire. "Are you almost done? The guests will be here any minute." Mrs. Staulbalm asked. 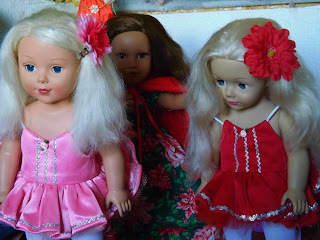 "Oh yes Mother, we're ready,"
"Great! Well done you two," Mrs. Staulbalm said with a smile. Suddenly the door bell rang. "I'll get it ma'am," Emma said, rushing to the door. Soon after, the whole room filled with guests. Everyone talked and laughed and enjoyed each others company. "The house looks beautiful! Who's your decorator?" 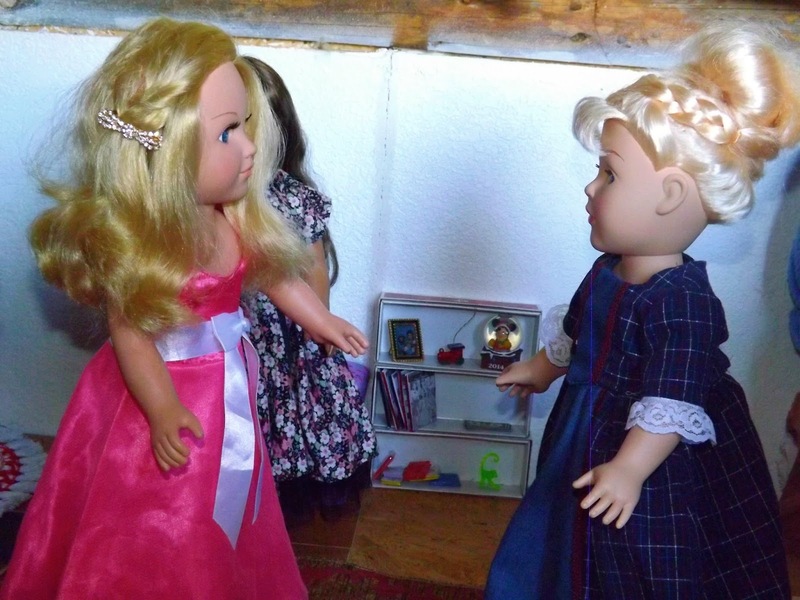 "My daughter and my maid," Mrs. Shaulbalm said proudly. Clara suddenly felt very shy. 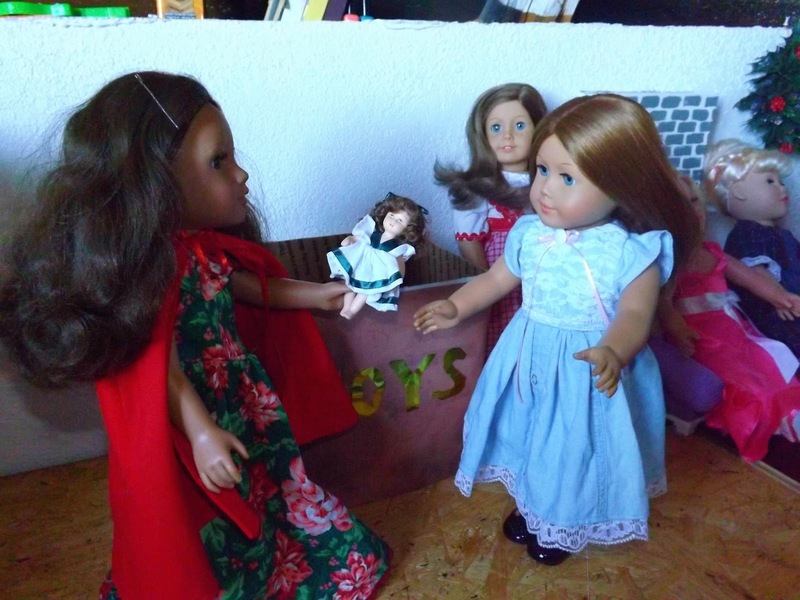 "Oh, I really couldn't have done it without Emma,"
"Well you both did a very nice job," she told Clara kindly. "Clara!" A voice called from across the room. "Alice!" Clara called back, knowing the voice in an instance. They ran and gave eachother a hug. "Merry Christmas Alice!" 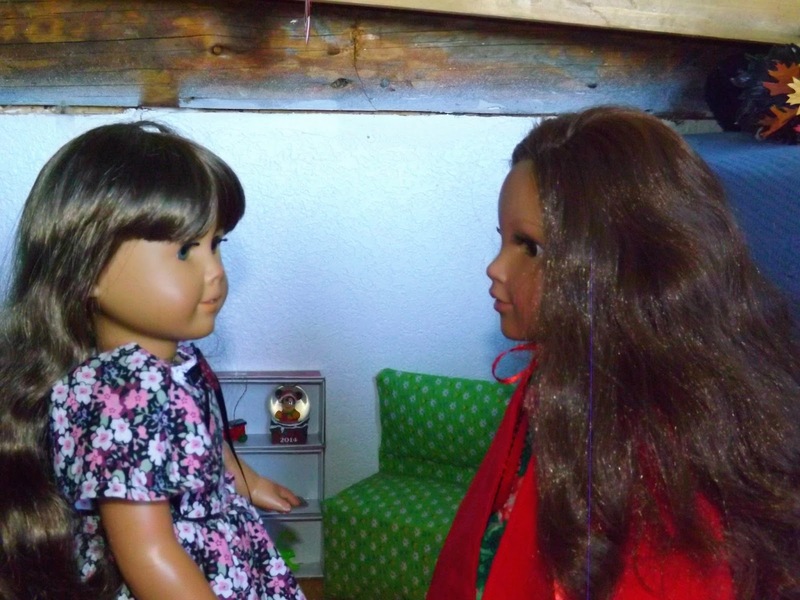 Clara said to her good friend. "Merry Christmas Clara! Is your aunt coming?" "Yes! She should be here any time now!" Clara said excitedly. 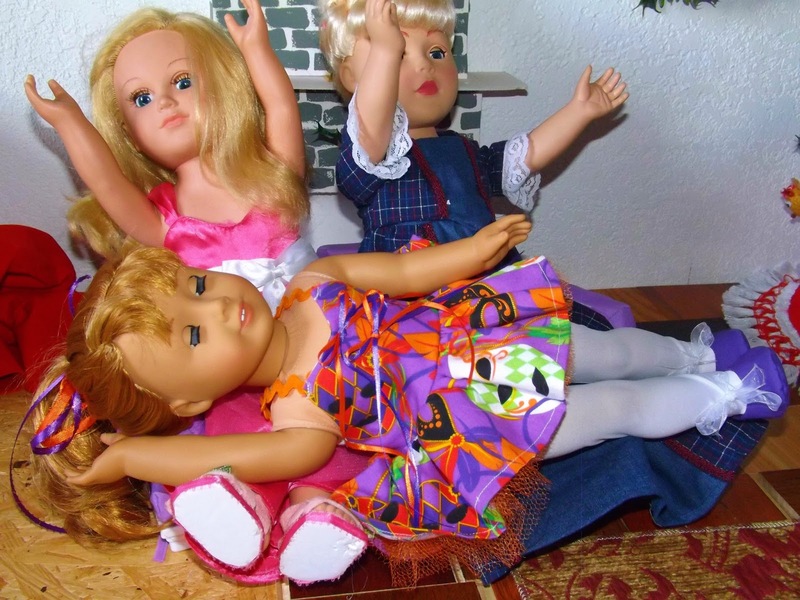 Marissa was Clara's favorite aunt, and she only came for the party then left. She's a magician and toymaker, every year she would preform her magic act then hand out gifts to the children at the party. "Oh, I can't wait to see her act this year!" Clara Exclaimed. Then a hooded figure entered the room. "Aunt Marissa!" Clara said cheerfully. Marissa pulled back her hood and embraced her niece. "Hello Clara,"
"Hello Marissa! How was your trip?" "Hello Helen, very good thank you," Marissa replied. "Would you like help bringing your things in?" Mrs. Staulbalm asked. 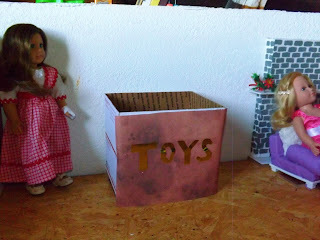 "No thank you," she replied, "I think I can manage,"
Just then a giant toy box came across the floor. Everyone clapped and cheered in amazement. Marissa called over Emma then reached deep into the toy box. 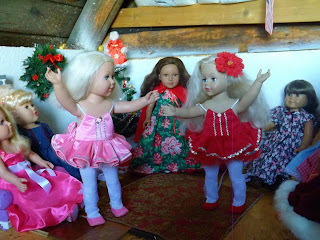 And pulled out two beautiful life sized wind up dolls! With Emma's help she put them in the center of the room. 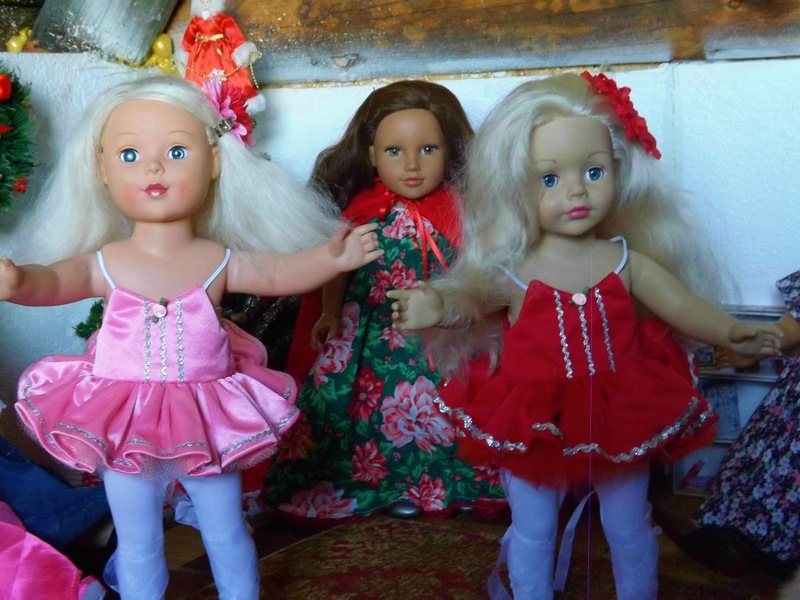 The dolls sprang to life. They began to dance and twirl around the room. And they danced a dance of friendship until their winders came to a stop. Everyone clapped once again as Marissa walked back to the toy box. She waved to everyone and did a cute little teddy bear dance. 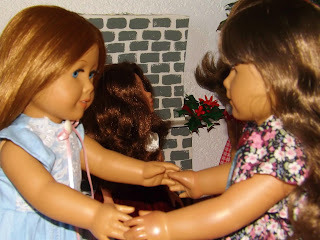 She ran over and hugged Clara, then saw the dolls. She rushed over to greet the dolls with a friendly wave, but they didn't move. She waved her hands in front of their faces, but they just stood there, still and silent. The confused little bear walked back into the room, scratching behind her ear. then suddenly had an idea! She jumped, hitting her feet on the floor with a thud. 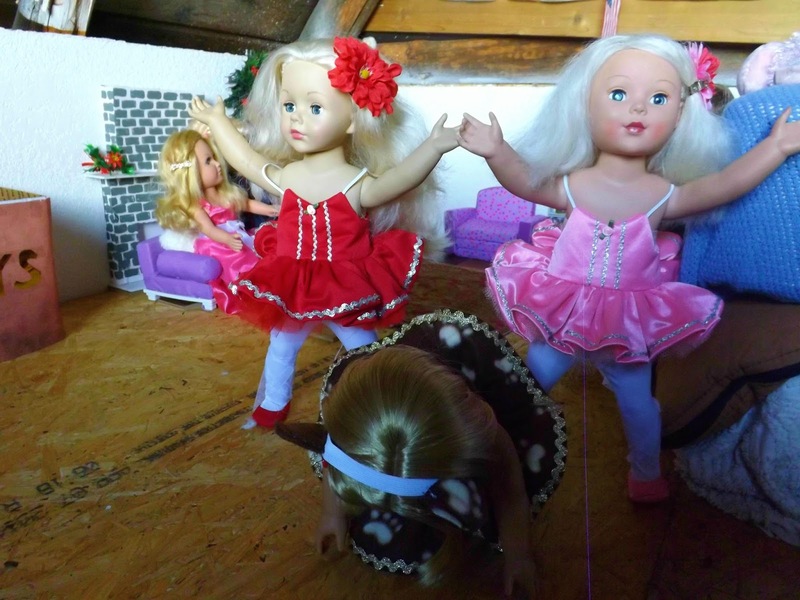 Causing the dolls to jump. And jumped up and down in satisfaction. Until she was so dizzy she fell. 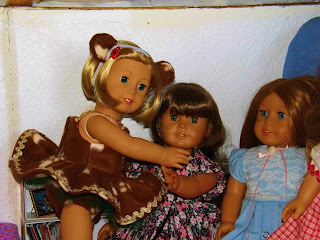 Emma carried the dolls back to the toy box and everyone laughed as Marissa dragged the bear back by the foot. 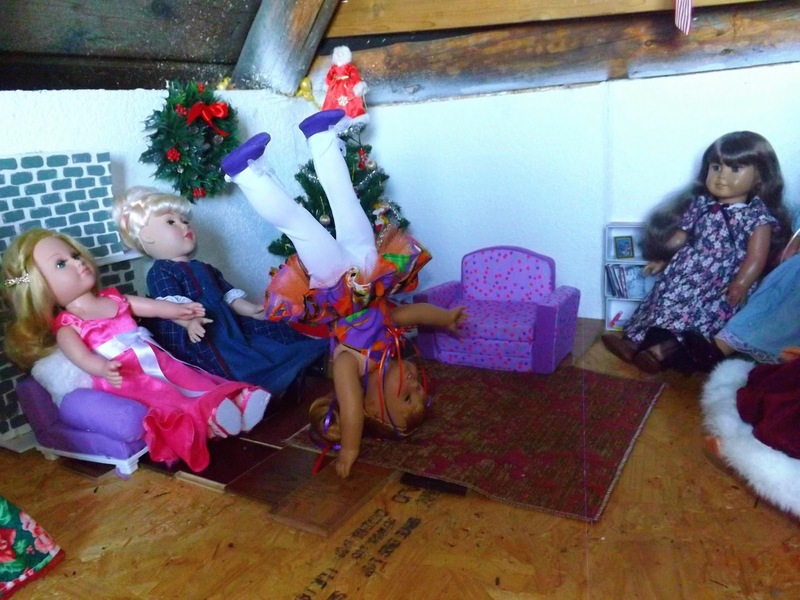 and a jester toy flipped herself over Marissa's head! And even sat with the guests! Which they didn't appreciate very much. So instead of sitting with the guests (who we're very annoyed with her), She darted for the chair. And as quick as a flash ran to the other side of the room. Then they broke into applause. 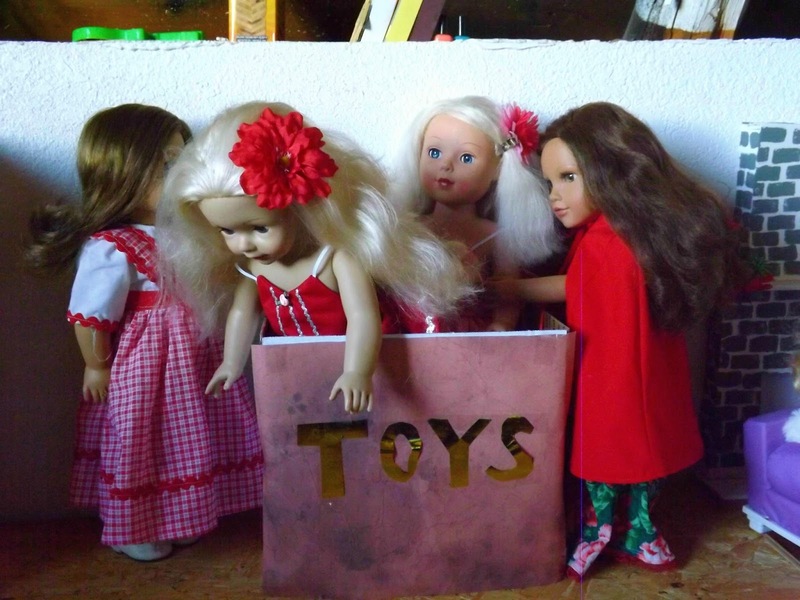 Marissa walked over to the jester and said, "Ok, time to go back in the box," The jester gave her a sad look. but Marissa replied "Now don't look at me like that, you weren't suppose to come out in the first place, now run along." Then backflip her way back into the box. 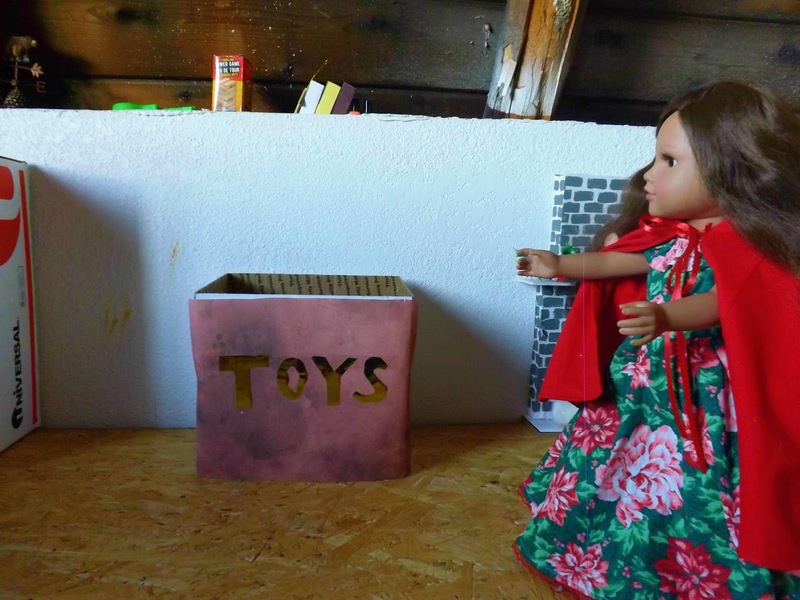 The show was over and Marissa took her final bow, now it was time to hand out the toys Marissa had made. She walked over and pointed to Alice, jestering her to follow. 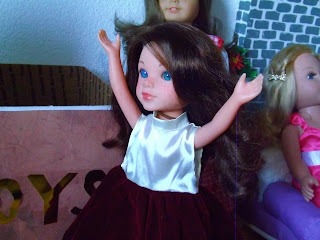 A sweet little brown haired doll. 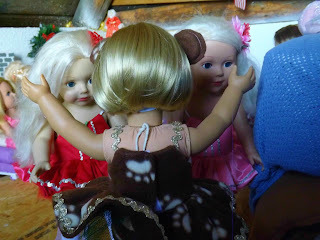 Alice gave the little doll a hug, "Thank you so much Miss. Marissa!" She said with a huge smile. 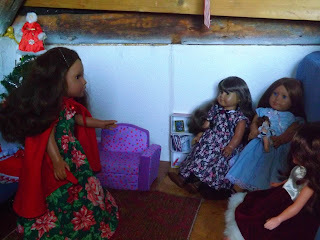 "You're welcome, Merry Christmas Alice,"
After Alice went back to sit down, Erica marched up. "What did you get me?! I want my gift!" "Erica stop being rude! Now go sit down!" 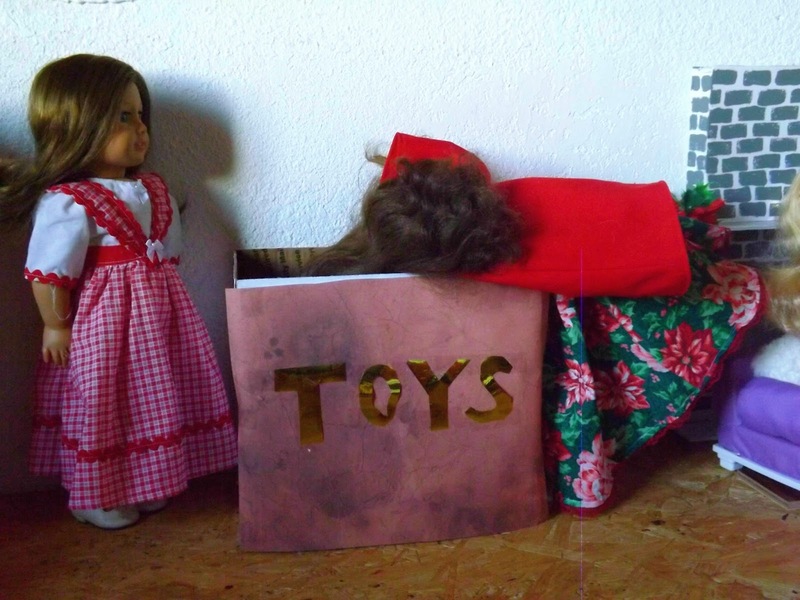 Her mother scolded her, but Erica just ignored her. "When you learn patience and manners then you will receive a gift, but until then you may go take your seat," Marissa told her firmly. "No fair, no fair! I want my gift now!" Erica screamed in protest. "Sit down right now before I send you to your room!" So Erica finally backed down and went back to her seat. The other children had been giving their gifts, and Clara was called up last. 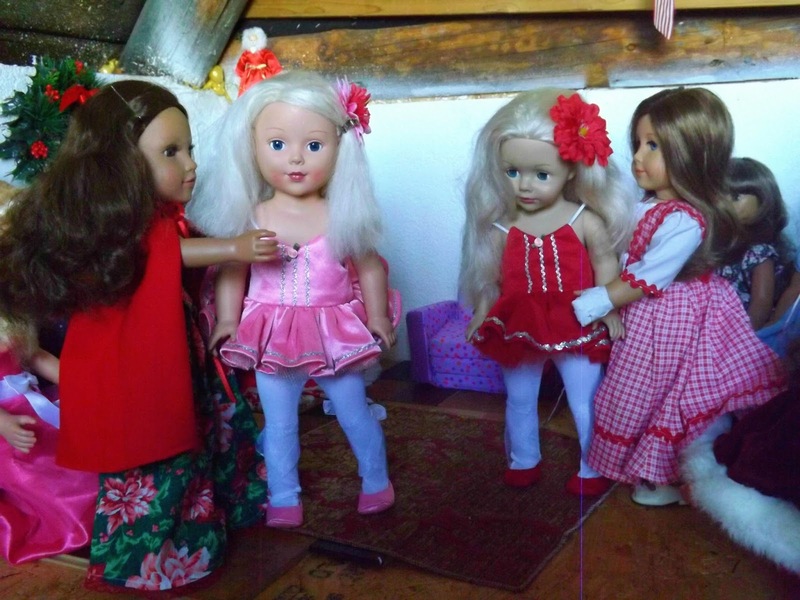 Clara walked up to her aunt and stood shyly. Marissa smiled at her nice, "Merry Christmas Clara, I have something very special for you, something so special I didn't put it in the toy box,"
There was a nutcracker! "Oh Aunt Marissa...."
"It's beautiful," Clara whispered as she held the nutcracker in her hands. "A very special gift, for a very special girl," Marissa said, giving Clara a hug. "No fair! It's Not fair!" Erica screamed in anger. Erica ran up and grabbed the other end of the nutcracker. And threw it on the ground with a crash. "That's enough!" Mrs. Staulbalm yelled, "Emma!" "Take her to her room. And Erica, don't bother coming down for the rest of the night," Mrs. Staulbalm told them as Emma took Erica to her room. 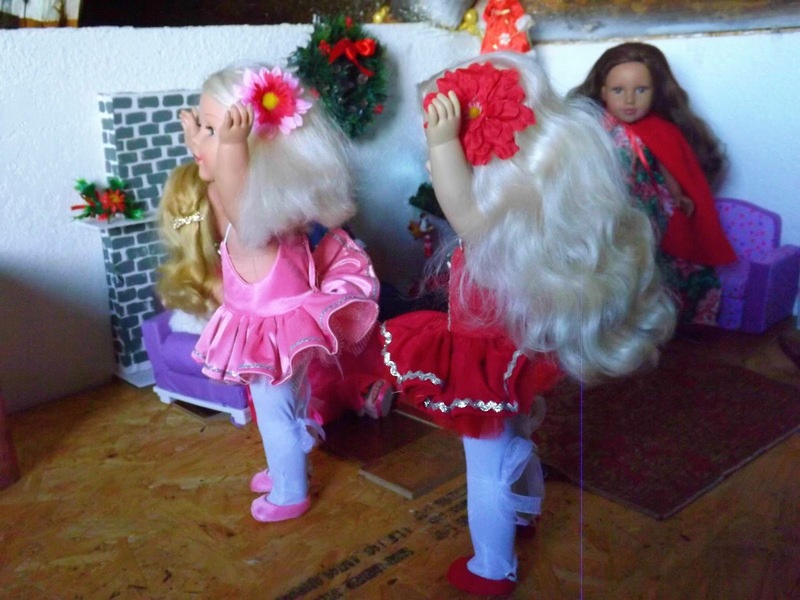 Clara sat in tears at the sight at her beloved nutcracker, which laid in pieces on the floor. 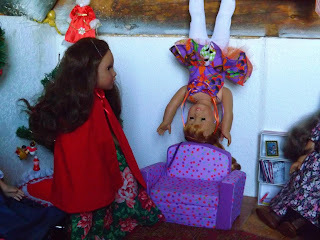 Mrs. Staulbalm and Marissa came over, Mrs. Staulbalm pulled Clara off the floor and Marissa picked up the pieces of the nutcracker. "Don't cry my dear, it will be ok," Marissa told Clara reassuringly. 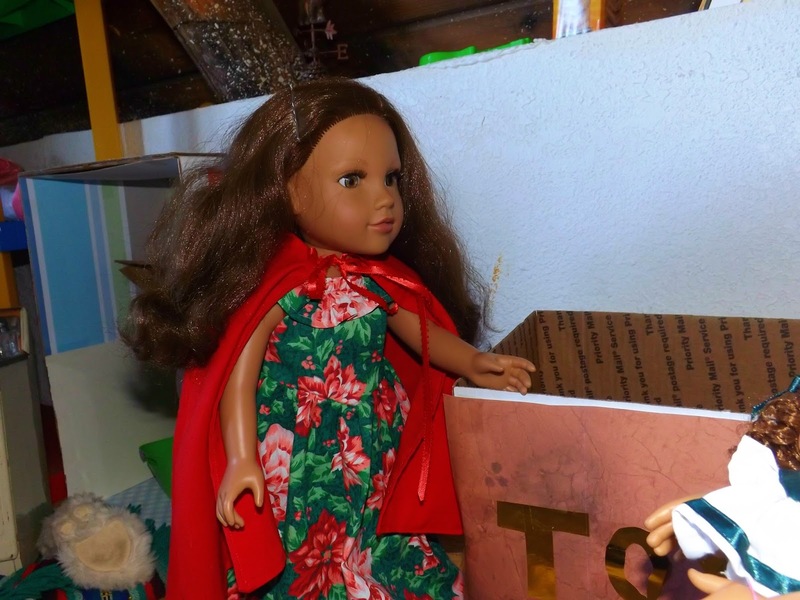 And when she dropped her cape the nutcracker was fixed! "Oh, thank you!" Clara said through her tears. 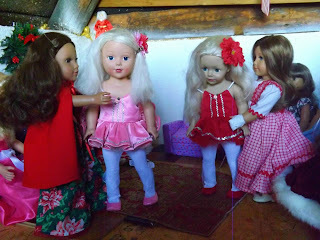 So the party continued into the late hours, but now it was time for the guests to go home. 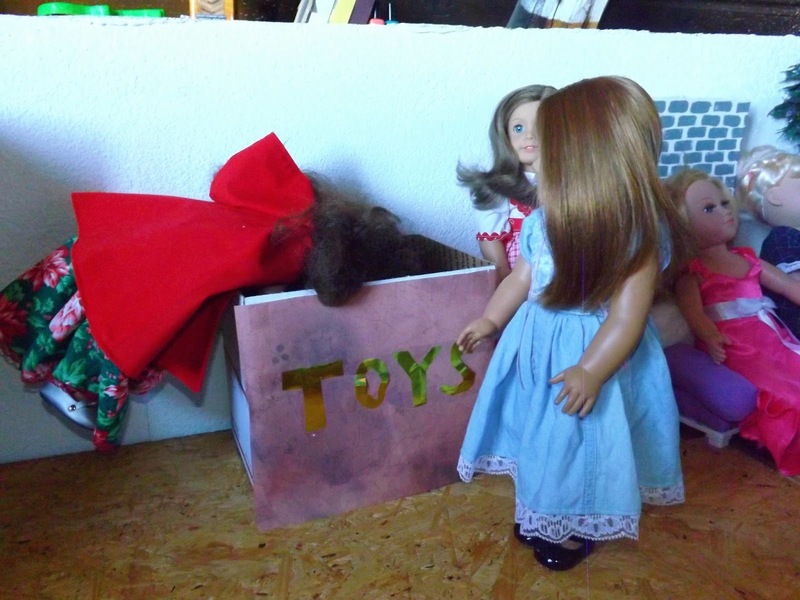 "Maybe after the holidays we can get together and play with our new toys," Alice said, holding her doll close. "I would love that! 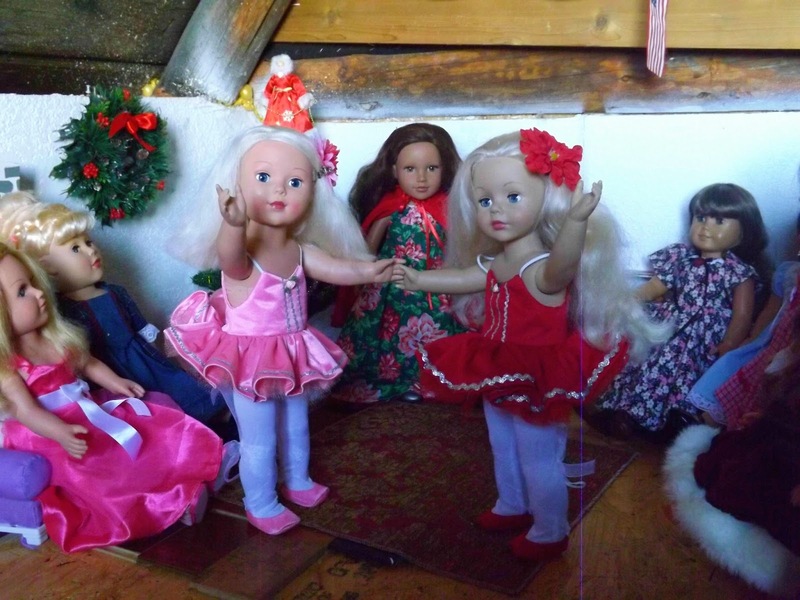 Have a Merry Christmas Alice,"
So with that the guests left for their homes. "Well Clara, I think it's about time you head to bed," Mrs. Staulbalm told Clara. "Here, I'll put your nutcracker on the shelf while you say goodnight to your aunt,"
"Good night Aunt Marissa, thank you again for fixing my nutcracker," Clara said, tightly hugging Marissa. 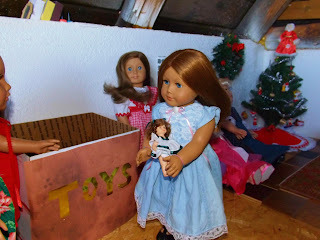 "You're welcome my dear, have a Merry Christmas," Marissa replied with a smile. "You won't be here tomorrow will you?" She asked sadly. "No, I'm sorry Clara, I wish I could but I must go home tonight. But I'll be here next Christmas Eve, I promise. But you must get to bed now, it's almost 11:00 o'clock!" She told her warmly. "Ok, Merry Christmas," Clara replied as she headed for bed. She said goodnight once more then disappeared up the stairs. All was silent, everyone was in bed and the living room was lit bright by the lights on the tree. And the nutcracker sat on the self next to the clock. 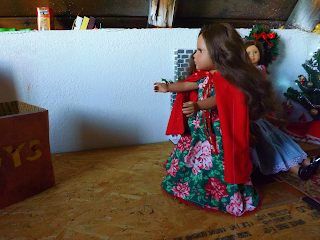 So Clara quietly came down the stairs into the living room to check on her nutcracker. "Hello there," Clara said to her nutcracker. 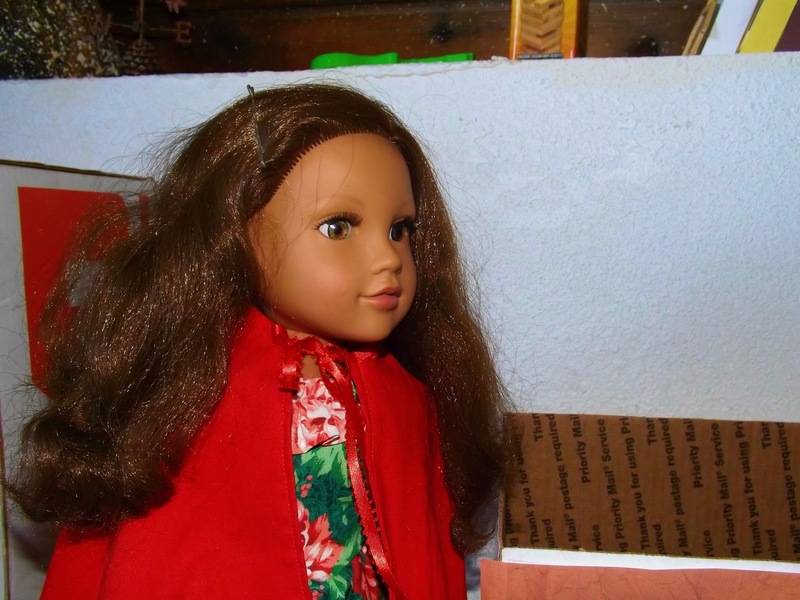 "Merry Christmas, or at least it will be in about 27 minutes," Clara looked at her nutcracker. 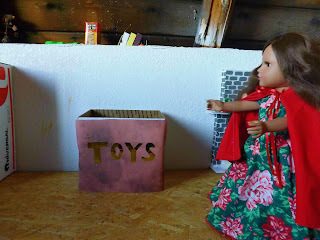 It wasn't like any other nutcracker she had seen, this one was truly special, and she was soon going to find out how special and magical it truly was. 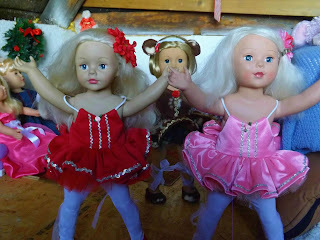 She began to dance around the room with her nutcracker, dreaming of the adventures they'd have. She yawned for she was very tired. With the nutcracker by her side. Only moments later Marissa walked in, but Clara was fast asleep. And laid it across her. 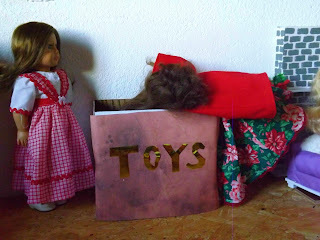 "Sleep well my dear, I'll see you next year," Marissa whispered. 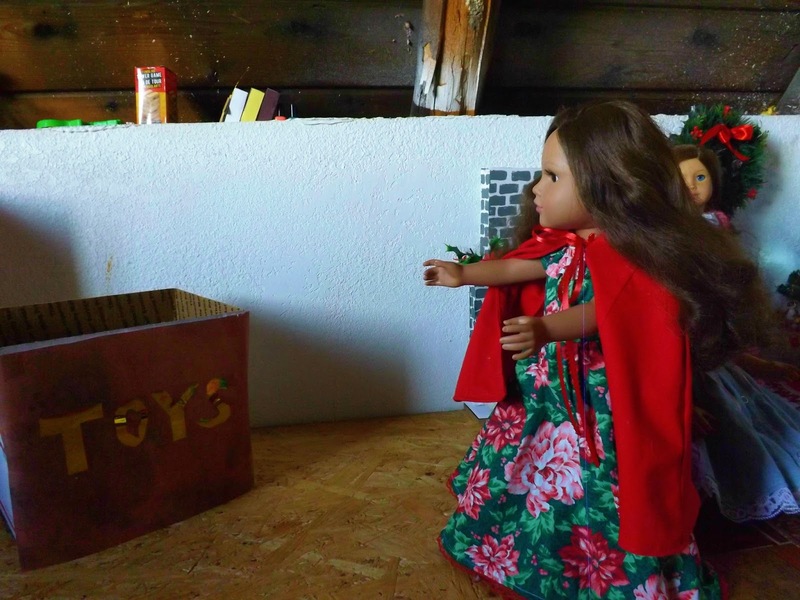 Then Marissa started a spell, a spell she preformed every year to open the gateway to another world. The tree grew to unbelievable heights. Dun, dun,dun! So what do you think? I really hope you like it, let me know in the comments what you think will happen next! Have an awesome day you guys! LOVE IT!!! I literally said to myself, dun dun dun! right before I read yours! XD Did you have to hot glue to arm of the nutcracker back on? YAY!!! I'm so glad! LOL XD Not yet, If you look closely at the picture where the nutcracker is laying on the floor you can see a little peg, so the arm is just pushed back on right now. I will have to glue it back on though because it moves around a lot LOL. XD Thanks for commenting! why are you sooooo GOOD at these photo stories??? I LOVE THEM ALL! Especially this one! It's so detailed and every little piece is a beauty! 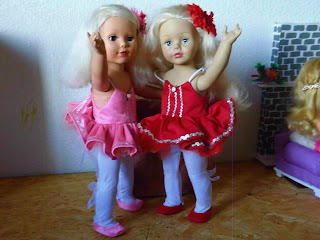 Yeah some of my mini nutcrackers have broken too lol I just glued their arms back in with hot glue. Where are the costumes from? Did you or your mom make them? Because they are absolutely stunning! Awww Sam! That seriously means the world to me, I get so nervous about posting photo stories so your comment made my day :) LOL yeah, it was actually broken when I found it, which worked well for this but I think I'll end up putting it back on with hot glue XD Yes, my mom made all of them except Emma's outfit, Mrs. Staulbalm's dress, Erica's dress, and Clara's nightgown. The nightgown and Emma's outfit was made by my grandma, and Erica and Mrs. Staulbalm's dresses I found in thrift stores. Oh! I can't wait for the mall Santa one! That sounds so funny! I love your photo stories, they always make me laugh! My favorite is Molly Parker's day off XD Thanks again Sam! AH HA HA HA! I love the Jester! And the cute little teddy bear! Amazing job, Katie! LOL Yay! I'm so glad! Thank you so much! That's absolutely brilliant! Well done! !